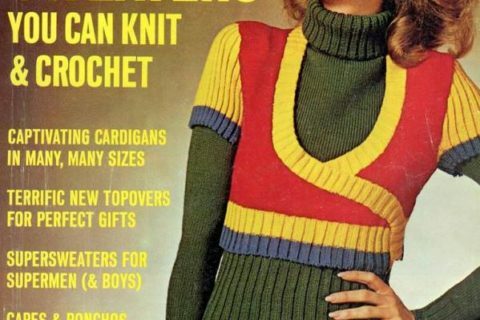 I know all you fashion forward library geeks can hardly resist anything knitted. What’s not to love? 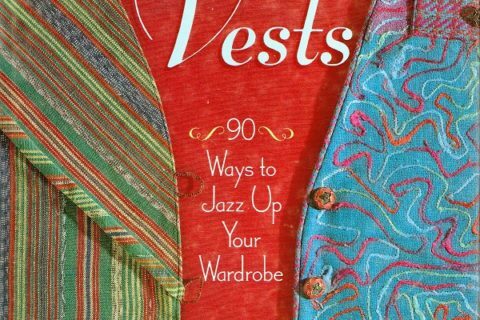 Ponchos and vests are a great way to feel comfortable at the reference desk. Guybrarians everywhere are loving that they are not excluded from this fashion trend! 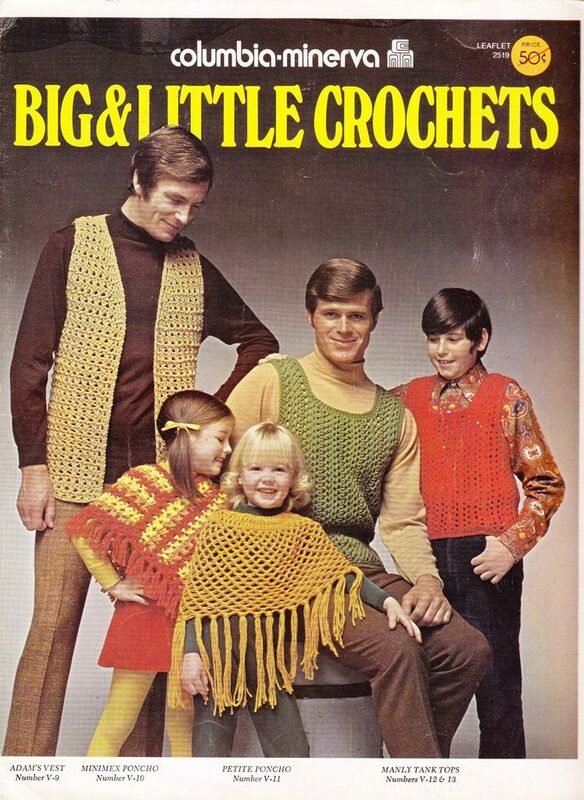 I found this crochet pattern while looking for something else and could not stop laughing. I remember when the vest thing was somewhat cool (Yeah, I grew up in the middle of Illinois surrounded by corn, this would qualify as cool). 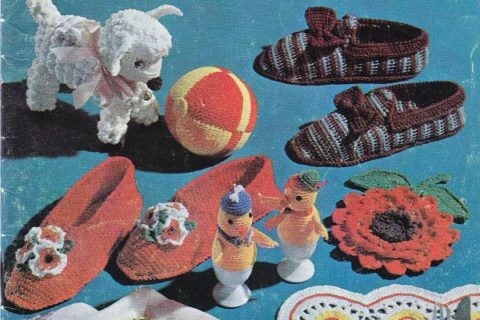 I remember that everyone’s mom and grandma would make these things, probably so everyone would match the afghan on the couch. The best part is that the flip side picture is the women’s version. I will leave it to everyone’s imagination on what someone would wear underneath that dress. The little girls at least get tights. I have a photo of myself aged 4, in a very similar poncho and dress/tights outfit, with little brown pigtails….luckily my mom wasn’t given to wearing crocheted dresses with nothing underneath, though! My grandmother made tons of those ponchos while I was growing up. In lovely acrylic yarn of course! As to the crochet dresses – that’s what slips are for, baby! Pet peeve: library books with price stickers left on. That! and when stickers are on the back of the UPC codes. Don’t mess with my free ISBN scans! One word: ick! Why don’t you just throw a fishing net on me and save yourself the time and effort? This made me laugh (inappropriately, since I was working the reference desk during a quiet period at the library)! Thank you! 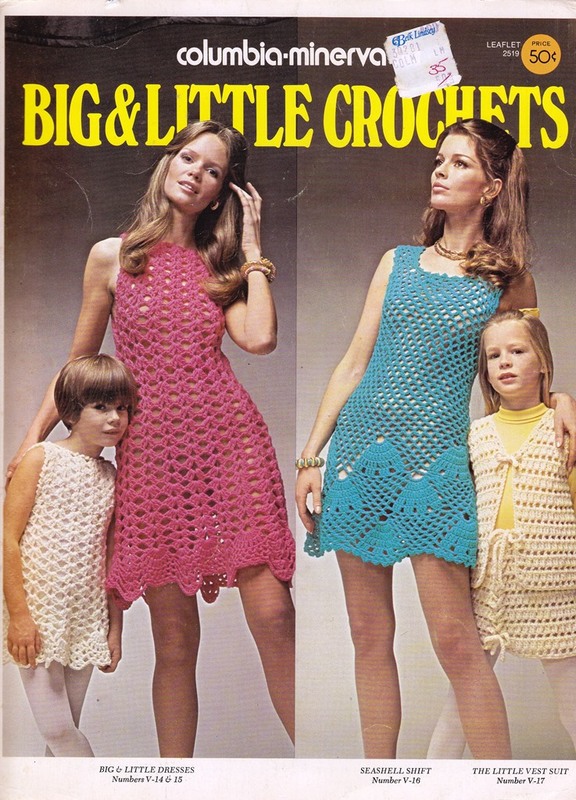 Ahh, crocheted dresses! Back in the day, I crocheted a variegated blue dress (actually, I made it twice–the first time it was so much larger than anticipated that I unraveled it and started over). I did take the precaution of lining it with navy cotton, probably broadcloth. 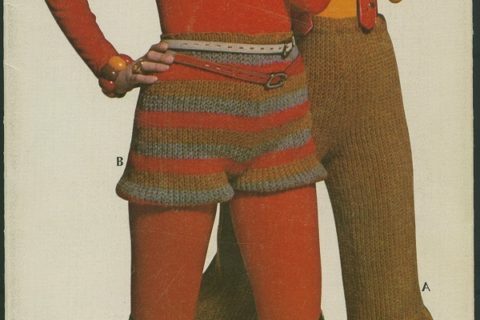 Most crocheted dress patterns of ’60s /’70s called for a fabric lining. That’s why I didn’t attempt them; twice the work for one garment! The dresses would be kind of cool, if they were made with a finer yarn and as drgns4vr points out, lined. I donated 20.00 to our local ambulance at a town fair and as a thank you, was given a crocheted afghan blanket made by one of the EMT’s very own mom. I will use it to keep my dogs cozy in the back of my car when they travel with me. That little vest suit is particularly ugly — especially the skirt. No wonder the child modeling it looks grumpy. I was going to say that I actually think the Seashell Shift could be nice if lined. Off to search Rav I go! Crochet minidress and no underwear… That’s actually kinda hot, in a weird way. I love these books! They are so bad that they become awesome! And I am a knitter and a crocheter!